Micromax launched their all new Canvas Spark 3, the successor to their older Canvas Spark 2 today, after putting details about it on their website earlier this month. The phone comes with decent specifications and software that is truly good for the price at which it is offered. The Micromax Canvas Spark 3 comes with a 5.5-inch 720p display with a resolution of 1280 x 720 pixels. Under the hood, the phone is powered by a quad-core processor clocked at 1.3GHz with 1GB of RAM. The internal storage on the device is 8GB, which can be expanded via a microSD card up to 32GB in size. The camera on the device is an 8-megapixel shooter with LED flash and the secondary camera on the device is a 5-megapixel fixed focus camera. The picture quality from the camera can’t be commented because of the cost of the phone. It is possible that the camera quality has been compromised. The battery on the phone is a 2500mAh one, which should keep the phone charged for a good amount of time because of the display size and resolution. Other than that, the phone comes with dual SIM card slots, 3G connectivity and a microUSB port. The operating system on the device is Android Lollipop 5.1 based, which is not a surprise for the users of Micromax devices. We are yet to see Marshmallow on majority of their devices. 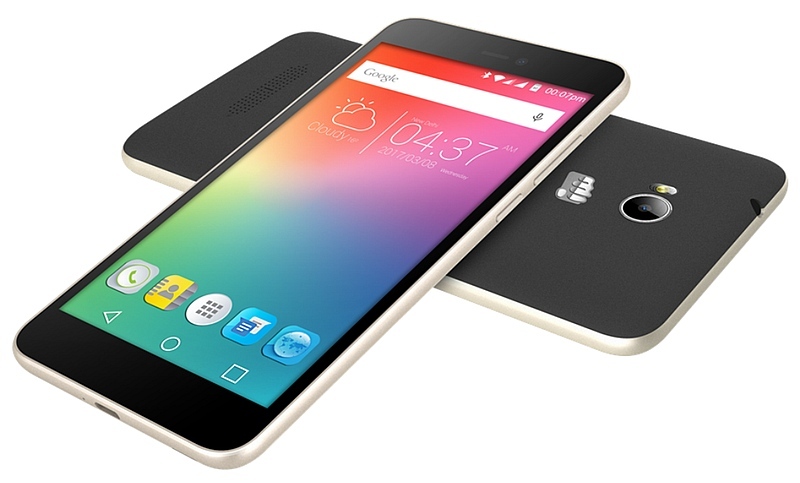 The Micromax Canvas Spark 3 is priced at 4,999 INR and will be available exclusively on Snapdeal only. The device will go on sale from 7th April and will follow a Flash Sale model only, the registrations for which will begin on 1st April. The phone does look interesting based on the specifications, but it would have been nice to see 4G connectivity in the smartphone because a few smartphones in this price range offer 4G as well. All in all,the phone still looks decent but could have been better.